West Ashley, SC has experienced some bank owned and foreclosure activity in the real estate market, yet the number of distressed properties remains rather low compared to other parts of the SC real estate market. House values reached significant heights in the booming time of 2005 and 2006 on the Coast. Values rose during that time period to nearly unaffordable heights for many first time buyers. When the market shifted from a seller’s market to a buyer’s market, the values declined. The high unemployment rate that has occurred in the past years has made foreclosures and bank owned properties appear even more often, however, West Ashley is still considered one of the most desirable locations in the area and remains fairly stable. 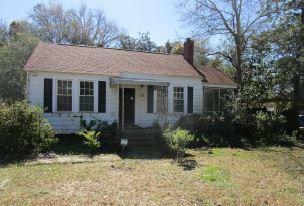 The properties featured here are all of the bank owned and foreclosure properties available in West Ashley, SC. This is a link to all of the foreclosures in Charleston.